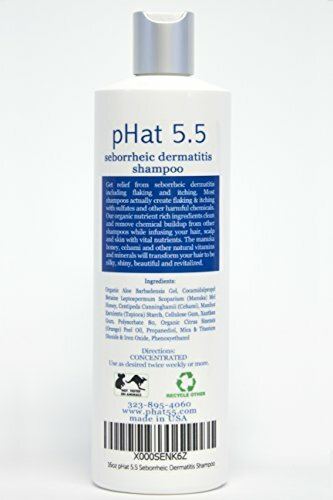 BEST SEBORRHEIC DERMATITIS TREATMENT and SEBORRHEIC KERATOSIS SCALP TREATMENT - Natural formula great for moisturizing your hair and face while gently and thoroughly cleaning. SULFATE FREE! - The sulfates found in most shampoos are responsible for severe irritation and even corrosion of the skin which can cause Seborrheic Dermatitis. DON'T USE DANDRUFF SHAMPOOS! 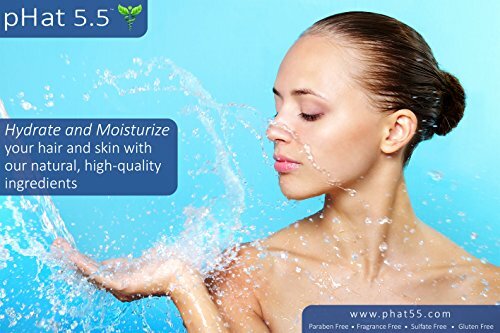 pHat 5.5 is SULFATE FREE! Most dandruff shampoos contain Sodium Laurel Sulfate or Laureth Sulfate. 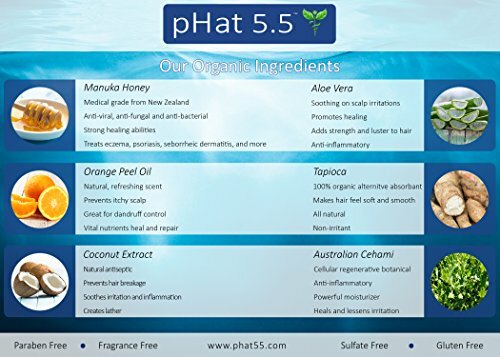 pH BALANCED - Your hair, skin and scalp are naturally pH balanced at 5.5 just like our shampoo and conditioner. 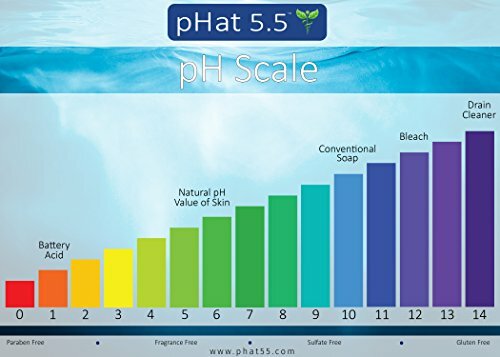 By maintaining your natural pH balance, you are helping restore your natural hair and scalps moisture and oil levels. 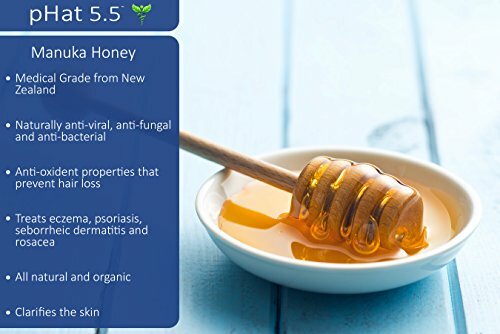 NATURAL and ORGANIC INGREDIENTS - Good Hair Care and Maintaining a healthy scalp include using naturally healing ingredients like Manuka Honey, Aloe Vera, Coconut Oil, etc. 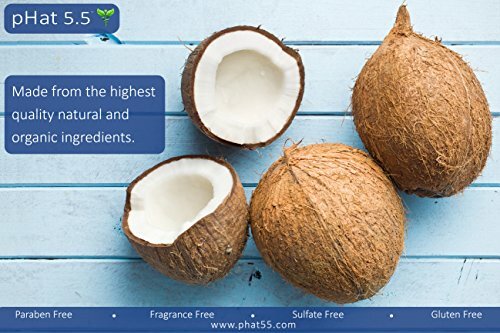 That's why pH at 5.5 products contain these ingredients.